Davos climate change: Hundreds of private jets at the World Economic Forum. Hundreds of Private Jets Delivered People to Davos. Also, It’s Climate Change Day at Davos. 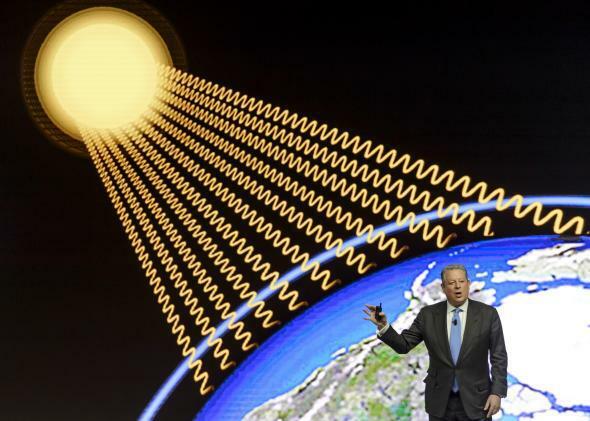 Al Gore at the World Economic Forum annual meeting on Jan. 21, 2015, in Davos. It’s climate day at the World Economic Forum in Davos, which means 2,500 of the world’s elite—many of whom flew in on one of the hundreds of private jets servicing the conference—are talking about how burning fossil fuels is slowly but steadily making our planet uninhabitable. This is the kind of day that was on my mind when I permanently gave up flying in 2013. Now, I’m not saying that sort of decision is for everyone. But there came a point where, as a journalist who frequently writes about climate change, I just couldn’t live with my ballooning carbon footprint anymore. Yes, there are things that can only be accomplished in person (like shaking hands and going skiing), but if the world needs to shift away from fossil fuels as quickly as possible, why not start today? Imagine for a moment a world in which leaders embody for themselves the kind of deep decarbonization scientists say is necessary to defuse global warming. Suddenly, the task before us might seem a little more manageable. Earlier this week, one of the Davos attendees, billionaire Jeff Greene, railed against American excess … after taking his wife, children, and two nannies along to Switzerland with him in one of those private jets. It seems Greene, like so many other thought leaders, is taking a “you first” strategy on that whole “smaller, better existence” thing. Setting massive income inequality aside for a moment, if those that live in excess agree to pay their fair share of the damage they’re inflicting on the climate, it would be a start. A global tax on carbon could do the trick, and help shift incentives toward less resource-intensive but still very comfortable lifestyles. But to truly solve climate change, it’s going to take a bit of imagination and forward thinking—exactly the kinds of big ideas Davos was designed to provide. During this week’s State of the Union address, Barack Obama ratcheted up his language on the issue, saying “no challenge poses a greater threat to future generations than climate change.” I just wish our leaders would start acting like it.